Only allows voltage producing electrolysis to flow in one direction, out of the cooling system to a ground. 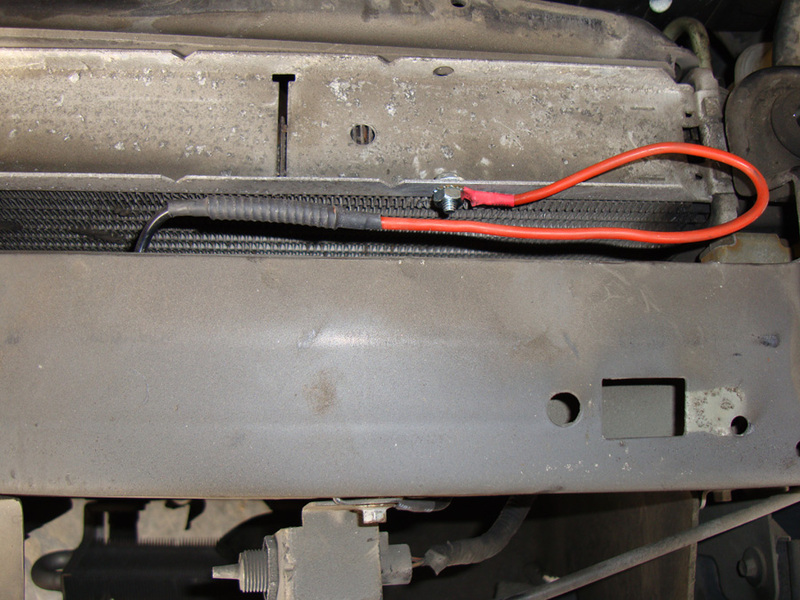 Improper grounding of cooling system components provides a pathway for returning or stray voltage to enter back into your cooling system and possibly making your electrolysis problems even worse. 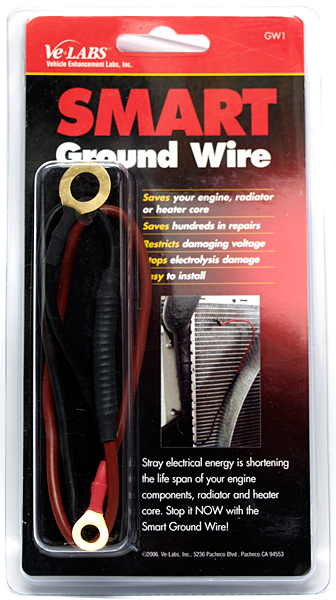 Both the Voltage Sponge and Smart Ground Wire work best with the Rad Cap. This can be attached to either the heater core or the radiator. When attaching to the radiator attach the red wire to the radiator’s support channel (all radiators have support channels that are attached to either the top and bottom or the sides depending on the style of the radiator). Most support channels already have holes in them so securely attach the red wire to an existing hole with a screw. The black wire needs to be attached to a good ground.